Richard Jenkins has grown up in the four wheel drive industry. Living in the southwest has led his family to some really awesome 4 wheeling areas. He has worked in the industry for companies like Off Again 4×4 and has represented multiple brands like Superchips and JBA Off-road. Rick has always led trails on the rocks and assured that all that show up can have some fun. On the rocks he helps a lot of people with their driving skills and teaches the feel for the rocks that you can’t always see. For Rick driving by brail is no problem and he tends to show that it is not hard to do if you know your rig. He has built multiple vehicles with all kinds of wheel bases from 80” to 120”. Rock Racing and competitive Rock Crawling are a big focus for him. He has been co-driving and spotting for 4 Corners 4×4 and spots for a few other teams in competition. Currently, Rick sells Instrumentation and Controls for Northwest Instruments and Controls out of Fort Collins Colorado. He has the New Mexico territory and is based out of Farmington New Mexico. Farmington is the home of Chokecherry Canyon where there have been years and years of National Rock Crawling Championships. Rock it Don't Roll It! From the early days of ARCA, UROC, and ProRock Rick and his family were there to help. Currently WERock is coming to the area to have the Grand Nationals. Rick and his family help to staff events and welcome the competitors with events like the Fall Crawl (a downtown show and shine). He also helps put on a few events a year with the local Jeep club. 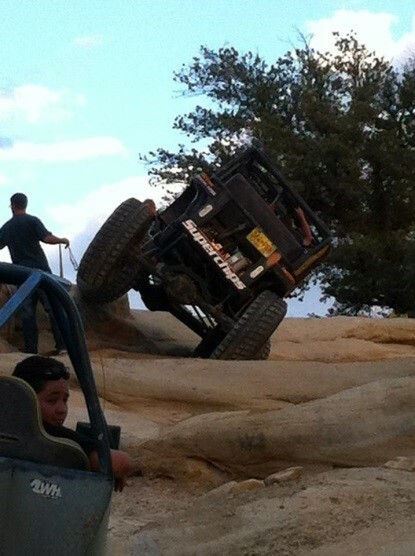 He is currently the president of the Cliff Hangers 4 Wheel Drive club and is on his second year. Promoting land use and helping to keep our public lands clean and open are on the top of his priorities when it comes to off-roading. Rick is very grateful for what he is allowed to do in the industry and enjoys welcoming new 4×4 hobbyists and 4 wheel drive manufacturers into the industry. If you see him out on the rocks give him a shout! You can always use one of his phrases like “Rock it don’t Roll it”.